The Gefen Mini DisplayPort to HDMI Adapter enables the utilization of widely-available HDMI-compliant display devices with a MacBook Pro or other workstation. 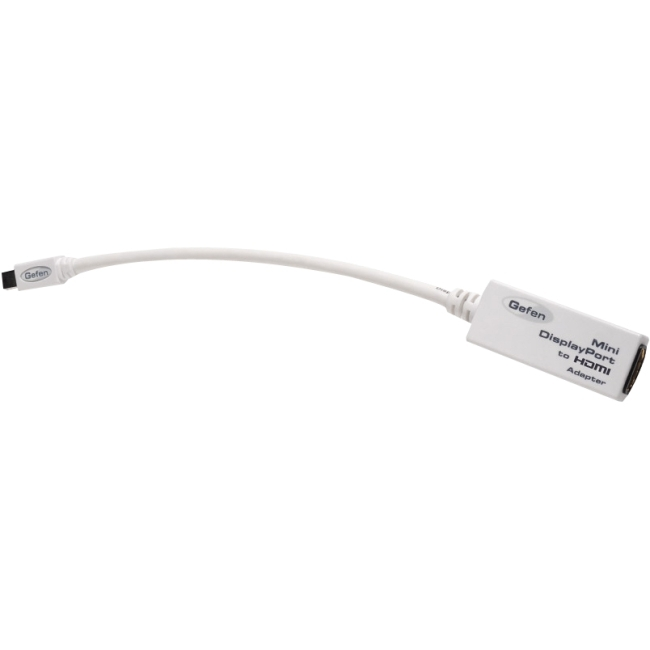 Mini-DisplayPort is a compact version of DisplayPort, the newest digital display interface. The Gefen Mini DisplayPort to HDMI Adapter gives the choice of an external HDTV display device as the main workspace or the workspace can be extended to two HD displays. The Adapter can work in a mirrored mode with a display projector using HDMI for an audience to view a laptop screen.